Packs of 100ml Cobalt Blue Plastic Bottles are supplied complete with White Ribbed Caps. Available in 3 different bottle pack sizes together with matching caps to suit your quantity requirements. 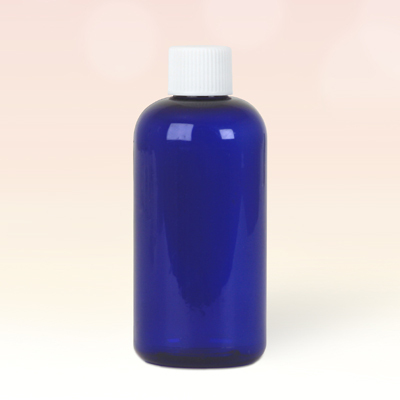 Quinessence 100ml cobalt blue plastic bottles are perfect for storing and dispensing your ready-mixed massage oils, carrier oils, infused oils and lotions. Since plastic bottles are much lighter than glass they are the ideal choice when taking blends with you on your holiday travels. Further to the weight advantage, plastic bottles can be a more practical choice for larger bottle sizes since they don’t break like glass if you accidentally drop them!